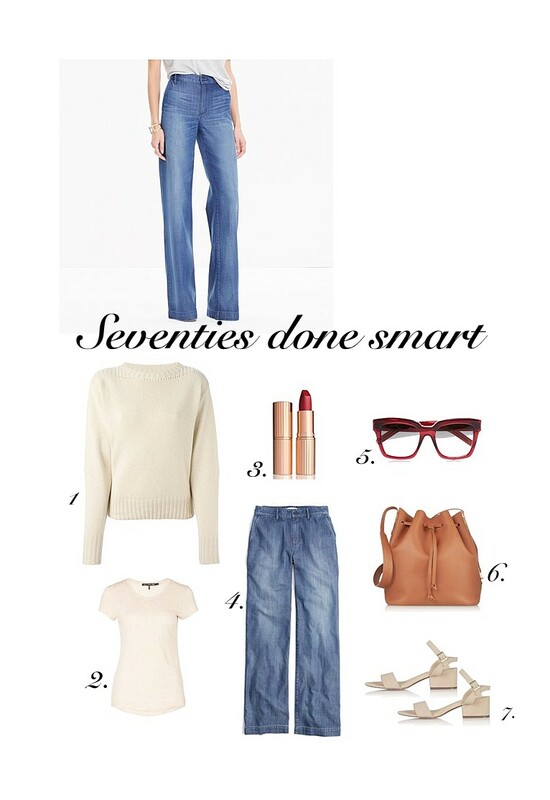 Madewell has been killing it with their Flea Market flares. Now they are getting into the denim trouser game and it is just as good. Casual fridays sorted, and you can take a spin on the seventies vibe, with a simple tee or sweater, sandals and some standout shades. I tried the Marant Medford sweater on yesterday, and it is no.1 on my fall wish list, super soft and a great shape. Are you going to wear flares this fall?